Uncanny Valley is an indie game developed and published by Cowardly Creations and one which I have been a eagerly anticipating, especially after Markiplier played the game about 3 months ago. The game was released out onto Steam for £6.99 and has been received well so far. The game actually came about from an Indiegogo campaign but unfortunately the developers didn’t actually reach their goal. However, they still managed to get the game made despite this setback. 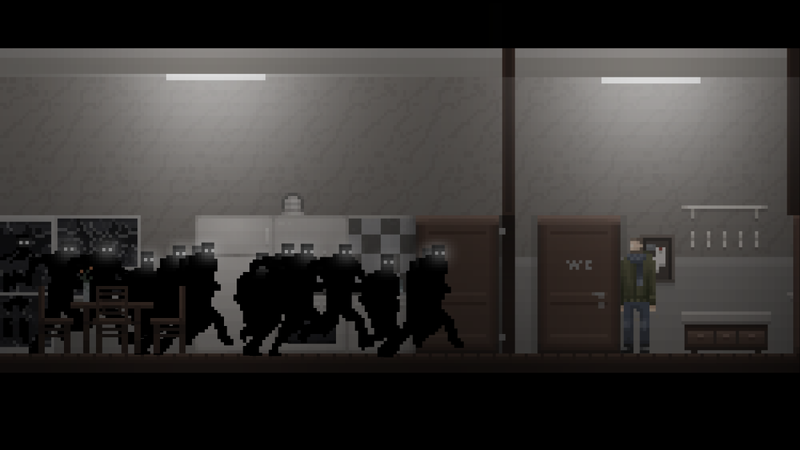 Uncanny Valley is designed to be a traditional horror game. Cowardly Creations thought that a lot of horror in games today has just become a third or first person shooter game with horror elements. Uncanny Valley is a game that has a mixture of different elements including puzzle solving, stealth and exploration so the developers have really tried to create a unique experience especially with the amount of optional story content available. The game has a brilliant design style, I love pixelated games because I feel that sometimes with these kind of game less can be more and usually the audio and sound really helps to create a full experience. The game does a fantastic job of building an atmosphere and I think the pixelated art style really helps, but what I think does a better job is the audio. The audio feels really “empty” but not lacking, you feel completely alone at all times and even the interaction with other characters you still feel like something’s off. When you are just walking around the sound of your footsteps is deafening and it echoes really loudly as well only re-enforcing the belief that you’re totally and completely alone. The sound in the game isn’t just based around some basic jumps scares, it plays the waiting game and builds an atmosphere rather than just a short and sweet scare. The games narrative is also done in quite an interesting way. 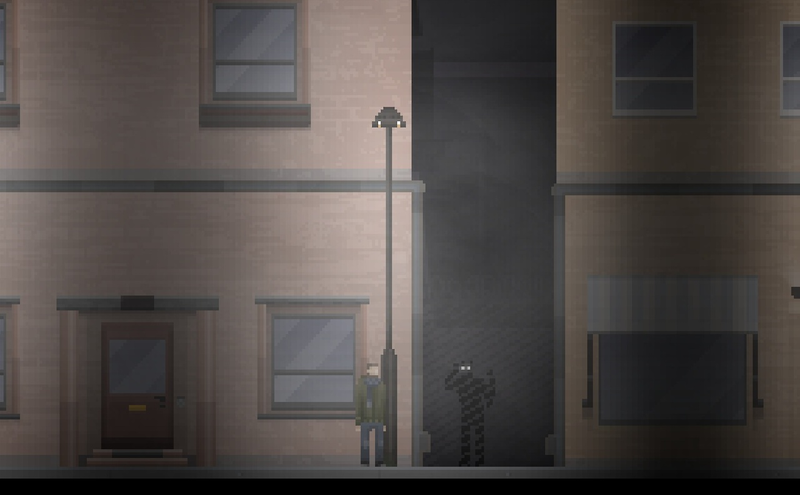 In the early days of the game a lot of the story or background is shown to the player while the character sleeps and you are living their nightmares. This is where a lot of the initial fear comes in because I began to question the reality of what was happening. Were the days really days? Were the nights and nightmares real? I didn’t really know what to expect but I was enjoying every minute of it. So during the day at first not a lot was happening, you just had to patrol the area to make sure nothing was out of the ordinary. So it’s just you, your flashlight and a tendency to fall asleep. 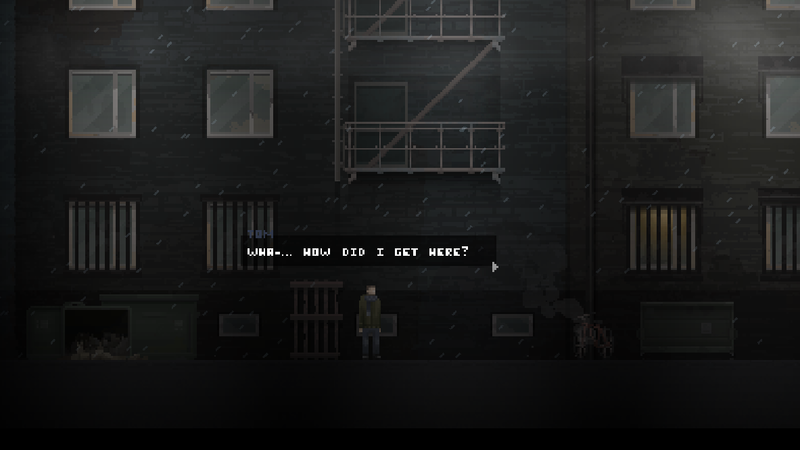 During this time the player has the opportunity to explore the area and discover the interesting backstory. This is done through different tapes which can be found throughout the game and played at a specific point on the map. These tapes tell a very interesting story which I unfortunately figured out all too quickly so it really ruined the horror aspect for me, however I think it was still done really well. The story isn’t just told through these tapes, a lot of the computers in the office can be turned on, whether it’s on the first floor or the fourth floor there are a lot of computers which can be used by the player and you need to explore a little bit to find some of the good ones. There is a lot of story within these emails and computers so it’s worth taking the time to go and find them. The game also often takes very refreshing shift part way through. I got very close to the point of boredom playing the usual walk around all day and try to find all of the backstory but the shift really brought me back into the game and its where the real horror starts. The flashlight becomes your best friend and sprinting becomes your worst enemy. A lot of the gameplay elements shift and change at this point, the audio changes to a much darker and industrial tone and you get your first glimpse of the enemies which you’re going to be running away from and trying to avoid. There is very little combat in the game and stealth is what you need to rely on. I didn’t know how I felt about this because it seems to be a bit of an overused mechanic especially in a 2D game where it can sometimes be fairly easy to avoid the enemies all you need to do is wait until their back is turned and then move. There are a few negatives to this game which really brought the experience down though. The game interface can sometimes be confusing with pressing the wrong button, having a button for interaction and a button for picking things which sometimes get’s you mixed up. There are numerous endings to the game but only one save file so if you mess up then there’s no going back, and you can’t choose different paths because you would need to play the entire game again to get to that point. Though there is a lot of optional story, you kind of need to look for it otherwise you will get bored, the actual job the character has is boring and I think that transfers over into the player. I think that this game has a lot to offer the Indie horror genre and there is a lot here which really works and the whole project works as a whole. I thought that the pacing of the game could have been better and the game could have been slightly faster. In all I think this would be a great game for people to check out as it’s not expensive at all and it makes a refreshing changed to the diluted horror genre. This entry was posted in Uncategorized and tagged Cowardly Creations, Indie, Steam, Uncanny Valley. Bookmark the permalink.